Retirement Prosperity Group | Ft. Washington, PA Retirement Income Planning. FREE Cash Flow Analysis today! Guy joined Eckell Sparks in 1989. He received his undergraduate and master’s degree in Business Administration from Widener University. He earned his law degree in 1979 from Temple University School of Law and a Master of Laws in Taxation from Villanova University. Additionally, he has received the C.L.U. and Chartered Financial Consultant designation from the American College. Guy concentrates in the representation and counseling of individual and corporate clients in business, estate and financial planning matters. He personally handles all aspects of the estate planning process from the client interview to the drafting and execution of all documents. Guy has direct involvement with numerous corporate fiduciaries and has incorporated into his documents changes suggested by the particular fiduciary. Estate planning techniques used and documents prepared include wills, revocable trusts (including marital/bypass trusts), irrevocable life insurance trusts, generation-skipping “dynasty” trusts, personal residence trusts, family limited partnerships, defective grantor trusts, split dollar arrangements, deferred compensation arrangements, grits, gruts, charitable remainder annuity trusts and unitrusts, and “Stretch IRA” trusts. Guy’s expertise also involves the administration of complex estates, including post-mortem planning, and estate tax audits. He is directly involved in the administration of trusts, including charitable remainder trusts, life insurance trusts and marital/bypass trusts, assisting both corporate and individual fiduciaries. 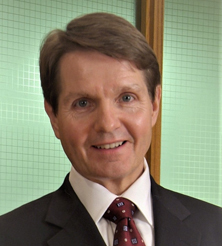 Guy has been selected to Pennsylvania Super Lawyers list each consecutive year since 2009. Have Questions for Retirement Prosperity Group?